Jerad O. Waggy, CFP® – Firestone Capital Management – Listening, then leading. Jerad O. Waggy, CFP®, is a Senior Financial Planner with Firestone Capital Management. He specializes in retirement planning and guiding clients through major life transitions. He earned the CERTIFIED FINANCIAL PLANNER™ designation in 2009 and completed the Sudden Money Institute’s specialized training in financial transitions in 2013. 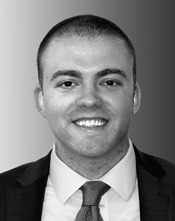 Jerad joined the Firestone Capital Management team in May 2014. Jerad graduated from Texas Tech University’s Personal Financial Planning program in 2006. After graduation, he moved from Texas to Florida to start his career in financial planning with The Enrichment Group in Miami, Florida. He began as an intern and worked his way into a Lead Financial Planner role where he helped his clients evaluate, set and achieve their financial goals. Jerad is an active member of his church and serves on the church’s financial stewardship board. His social and civic involvement and support includes Habitat for Humanity, Caring for Miami, Touching Miami with Love, His House Children’s Home and the Chapman Partnership.